The Ibis Saigon South Hotel is open for business and celebrating with introductory rates from USD45 nett per night. 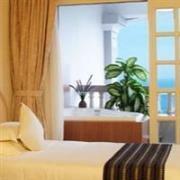 The package includes a modernly-equipped Standard Room, in-room Internet access, and a welcome drink. Buffet breakfast can be added for an additional USD12 per person. The quoted price includes 5% service charge and 10% taxes. This promotion is available through August 31, 2012. Book the ‘Stay Cool’ package at the Hotel Nikko Hanoi and enjoy free breakfast buffet, internet access, laundry service, a 30 minute massage, and a drink at Portraits Bar. Package rates start from USD145 for single occupancy or USD175 for double occupancy in a Nikko Executive Room. A 5% service charge and 10% taxes are additional. This promotion is available until December 31, 2012. The 5-star InterContinental Danang Sun Peninsula Resort, one of Southeast Asia’s most anticipated luxury resorts, is now open for business. Opening rates start from USD220 for a Classic Room with buffet breakfast, Internet access, shuttle service to Danang and Hoi An, and a 10% discount at hotel restaurants. A 5% service charge and 10% taxes are additional. This promotion is available on select dates through December 31, 2012. 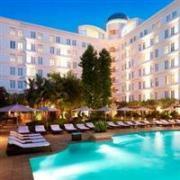 The Sunrise Nha Trang Beach Hotel is offering a “Fantastic Summer Holiday” package until October 31, 2012. For VND5,850,000 (USD280) enjoy 2 nights in a Superior Room, daily buffet breakfast, one set dinner, roundtrip transfers, drink vouchers, and free kids beach toys. The package price is valid for 2 adults and 1 child under 12. A 5% service charge and 10% local taxes are additional. The luxurious Park Hyatt Saigon Hotel in Ho Chi Minh City is offering a free night promotion. Simply book 2 consecutive nights and get the 3rd night free. 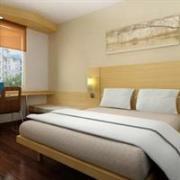 Rates for the payable nights start from VND5,590,000 (USD260) for a Park King Room. Rates are subject to 5% service charge and 10% local taxes. The “Hyatt Free Time” promotion is available until September 8, 2012. 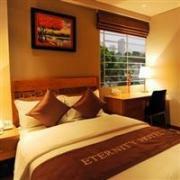 Spend two nights at the 3-star Hanoi Eternity Hotel and enjoy a free cruise of Halong Bay. The price is USD149 per person for 2 nights in a Senior View Room, daily breakfast, and a 1 night dragon cruise of Halong Bay inclusive of all meals. A 5% service charge and 10% local taxes are additional. The “Free Halong Tour” promotion is available until September 30, 2012. 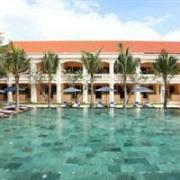 Save up to 35% off regular rates when you make an online booking at the Life Heritage Resort in Hoi An. With the discount, rates are VND2,725,000 (USD130) for a Superior Room or VND3,525,000 (USD170) for a Junior Suite. Rates include breakfast for two people. A 5% service charge and 10% taxes are additional. Rates are valid until October 31, 2012. 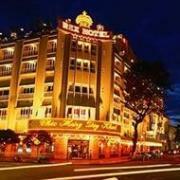 Pay for 3 consecutive nights at the Rex Hotel in Ho Chi Minh City and get the 4th night free! Rates for the payable nights start from USD120 for a Deluxe Room inclusive of daily buffet breakfast, welcome fruit basket, local calls, and internet access. A 5 % service charge and 10% taxes are additional. The “Stay 4 Nights, Pay Just 3” promotion is available through December 31, 2012.